Tom was born and raised in Wyoming, Iowa. He attended Midland Community Schools and received his BBA from the University of Iowa in August of 1971. He served as the senior accountant for Arthur Andersen & Co, Chicago from 1971 to 1975 and CPA, Partner/principal with TD&T CPAs and Advisors from 1975 to 2015. Tom and his wife Phyllis have four children. 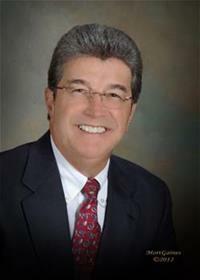 He has been Involved with various local, state, and national organizations and governmental bodies during his career.